Necklaces for women tend to accentuate the neck and draw attention towards the outfit you are wearing. When you wear the right necklace, you will enhance the beauty of your face shape while minimizing flaws. Whether alone or with other accessories, necklaces will make a fashion statement and add an interesting look to your outfit. 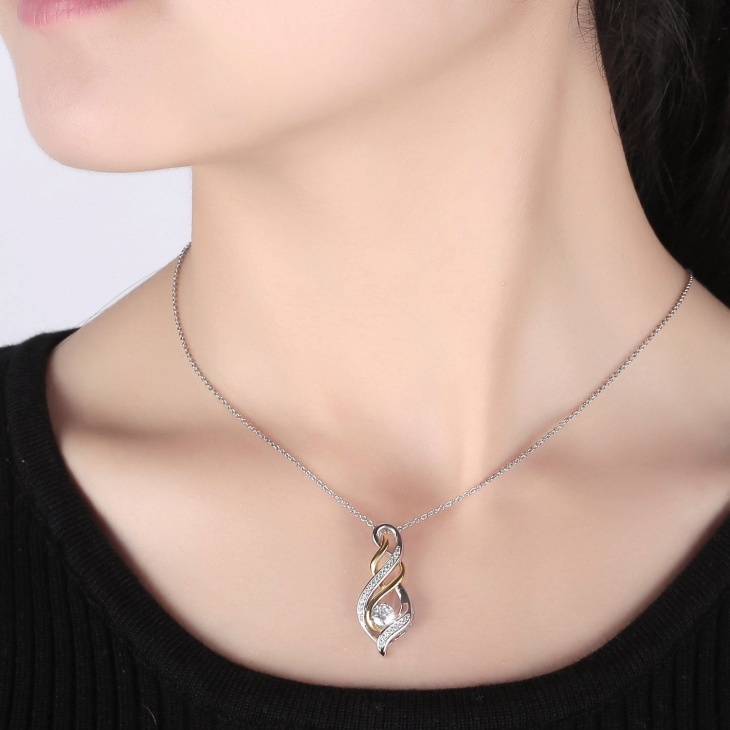 We, women, tend to wear different outfits, so it is only proper to have a variety of necklace designs to complement different dress necklines. 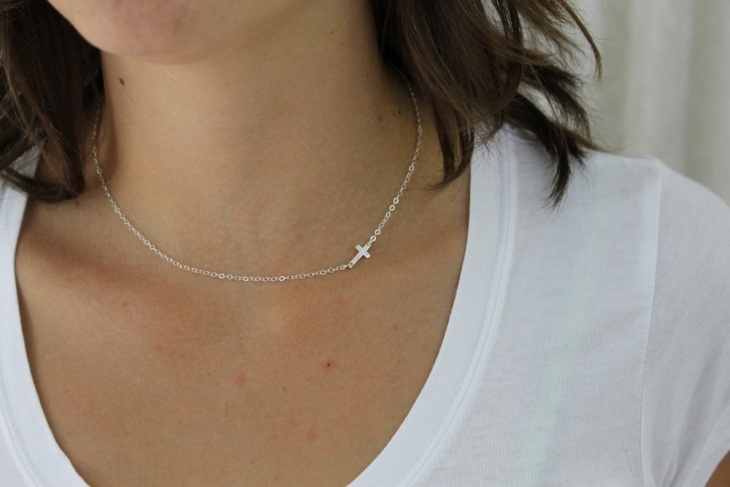 Cross necklaces for women feature a crucifix which is a symbol of faith. In many cultures, this symbol is often used to protect oneself from evil spirits. 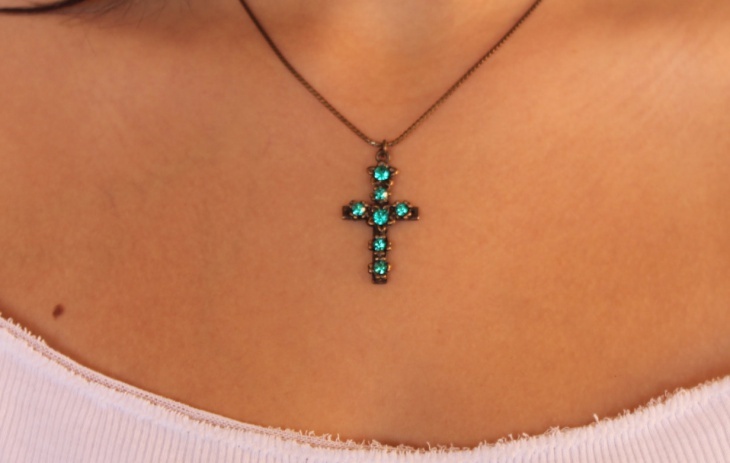 Wearing a cross pendant allows you to showcase your fashion style, creativity and express your faith. 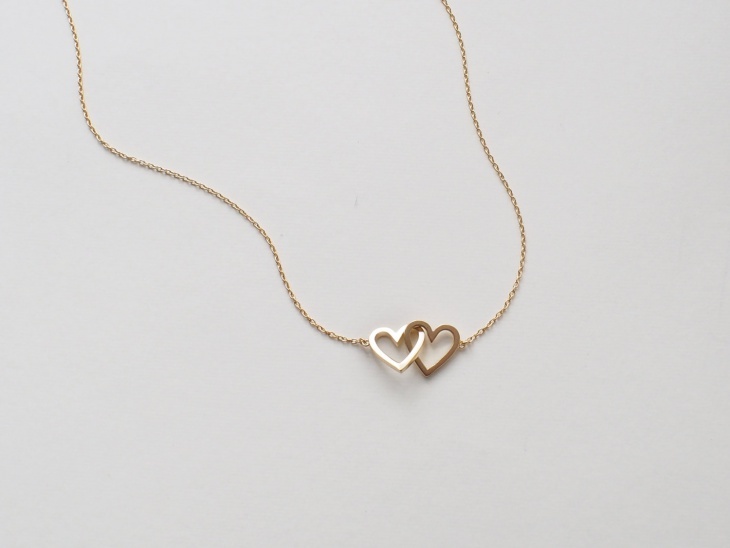 Many women tend to go for gold necklaces because of their luster. These necklaces are durable, rare and don’t tarnish. Instead of the standard yellow gold metal, go for white gold, green gold and rose gold. 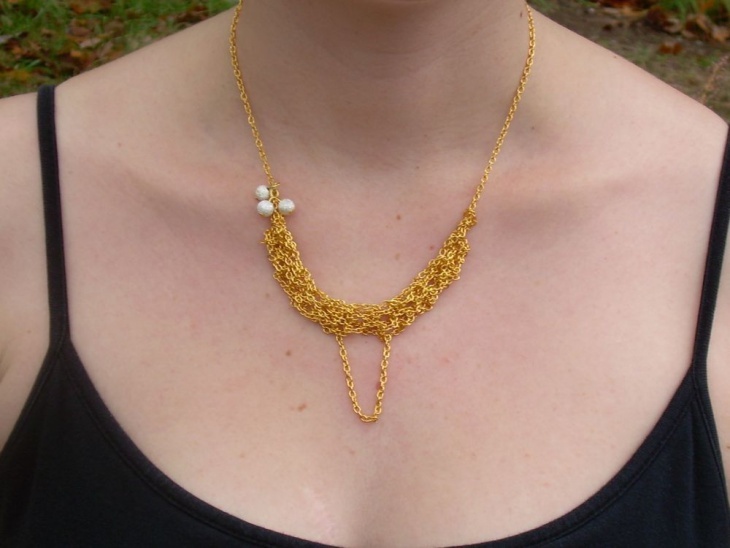 Wear a gold necklace with a gold hoop or stud earrings. 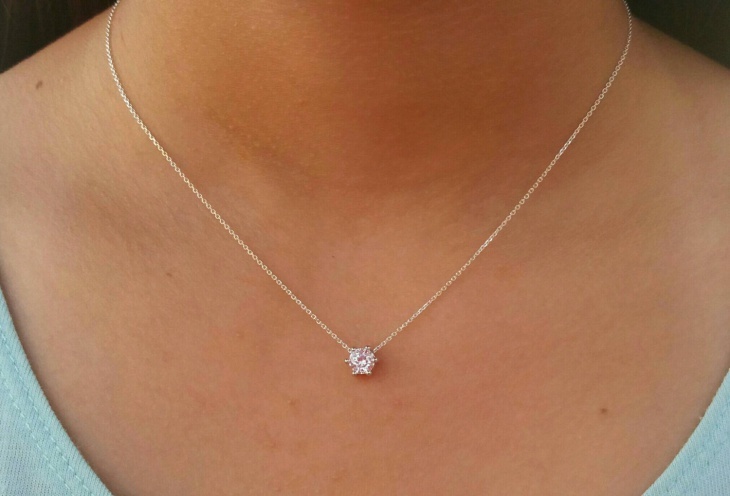 Whether for a wedding, anniversary or prom, diamond necklaces can make a woman stand out. They are classy, will always be trendy and showcase your fashion taste. Suitable for special occasions, this necklace tends to sparkle, so pair with simple outfits and bold makeup. Do you want an accessory that will express your love? If yes, then heart necklaces for women are what you need. This symbol of love will clearly communicate your message. 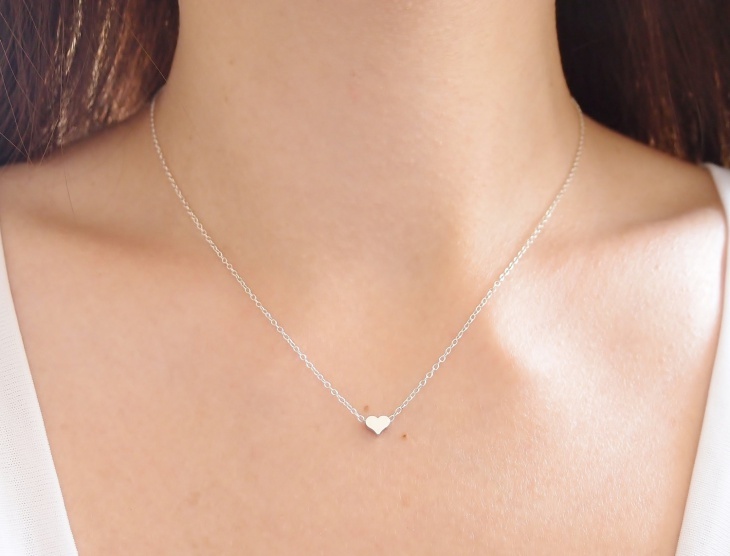 When wearing a solid colored outfit, then complement with a metallic heart necklace. 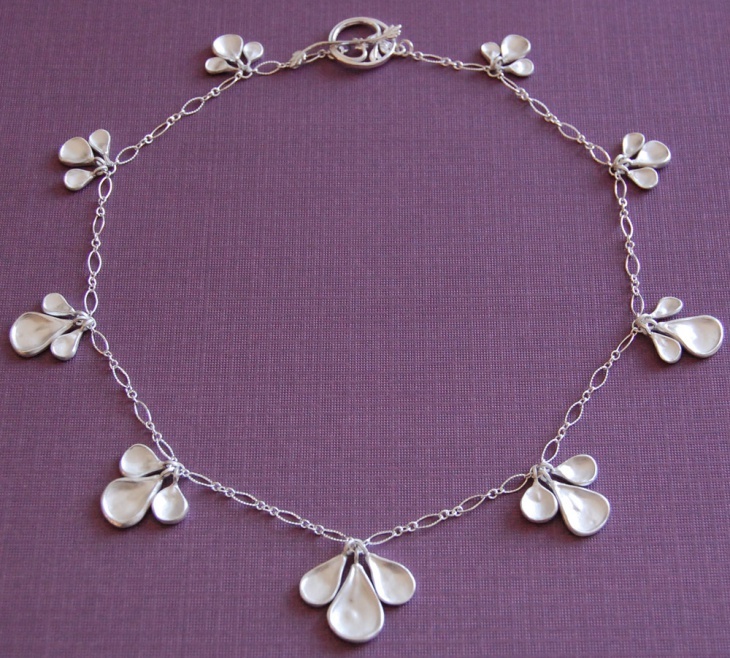 Silver necklaces are popular with women because they have a luster that is hard not to notice. This metal is also durable and will easily complement other jewelry as well as any outfit color. Portray your high fashion style by layering silver with gold necklaces. 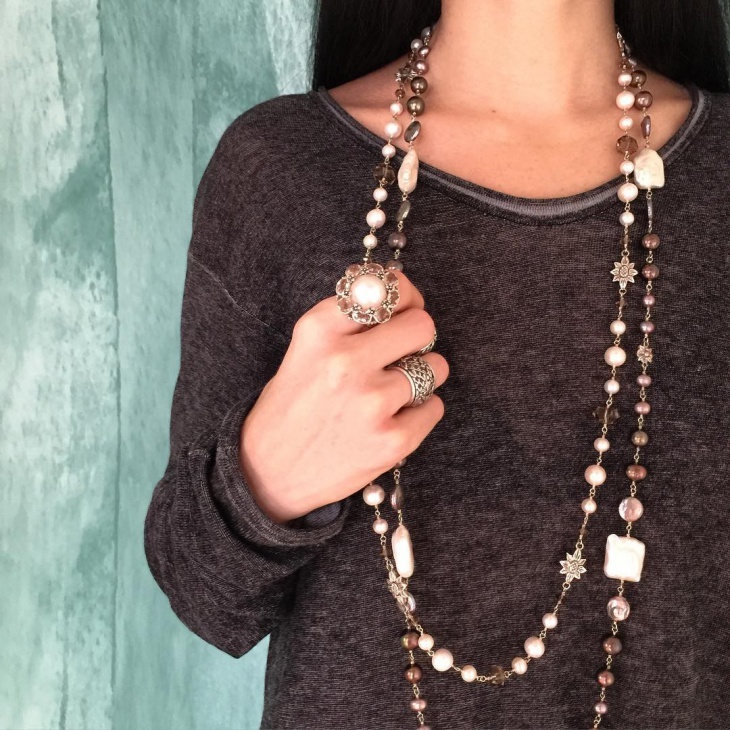 Layering necklaces is the trendy thing right now and what better way to experiment with this style than with long necklaces for women. For a dramatic look, wear your long chain with another short design. A long necklace with turtleneck outfits looks stunning. 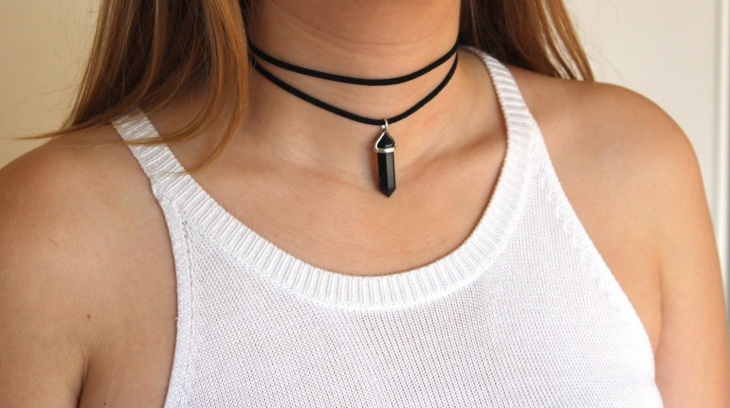 Choker necklaces for women are the hot trend this year! While they come in vast sizes, materials and shapes, they tend to look stunning on women with slender necks. They look stunning with strapless dresses or V-neck tops. For a casual look, wear a choker with jeans and a simple t-shirt. Leather necklaces will always be chic hence it’s a must have for any fashion forward woman. Suitable for girls who prefer man-made jewelry, no leather necklace is the same so you will be getting one of a kind piece. Statement necklaces can easily glam up a simple, monochrome or boring outfit. They complement both casual and work outfits. For a dramatic vibe, pair a bold statement necklace with animal print top while keeping the rest of the outfit subtle. 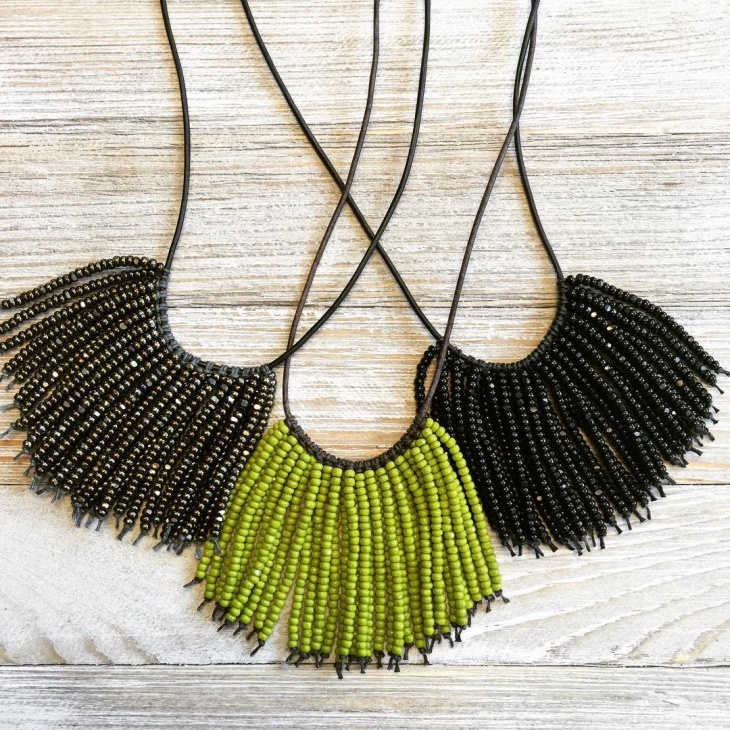 From elegant black designs to neon colors, beaded necklaces for women will make your outfit interesting to look at. For a boho look, try layering with other natural materials such as leather or wood necklaces. 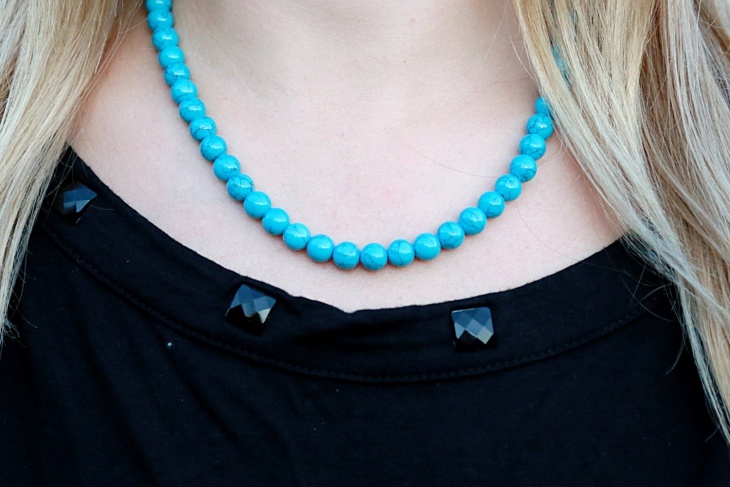 Dress up a t-shirt by pairing with brightly colored bead necklaces. 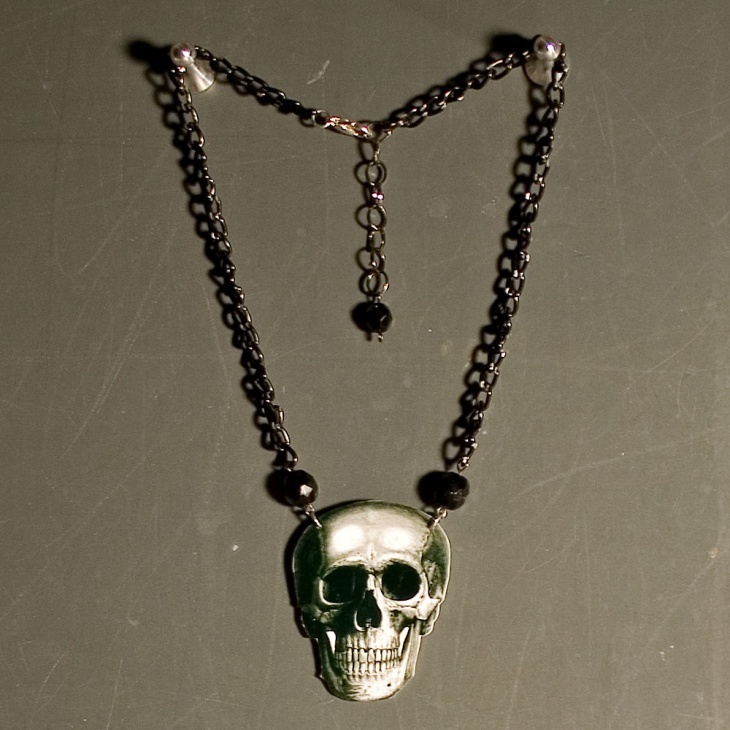 If you love the gothic style, then go for skull necklaces for women. A skull pendant on a long silver chain can easily make your outfit chic. Suitable for a casual occasion, give an edge to a denim shirt by adding a skull necklace. 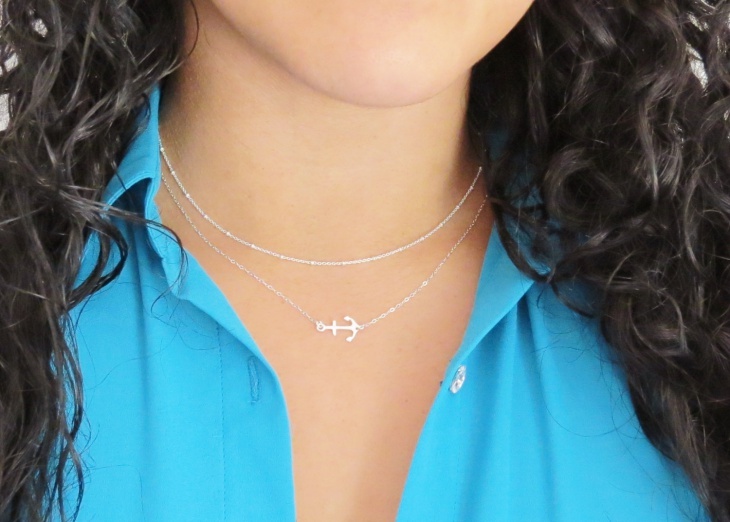 Anchor necklaces for women are a symbol of strength. People also go for this symbol to show their love for ocean life or traveling. Suitable for ladies with affiliations to marines, navy, coastguards or fisherman; use this necklace to show stability and security. From a single to triple strands, pearl necklaces are ageless. 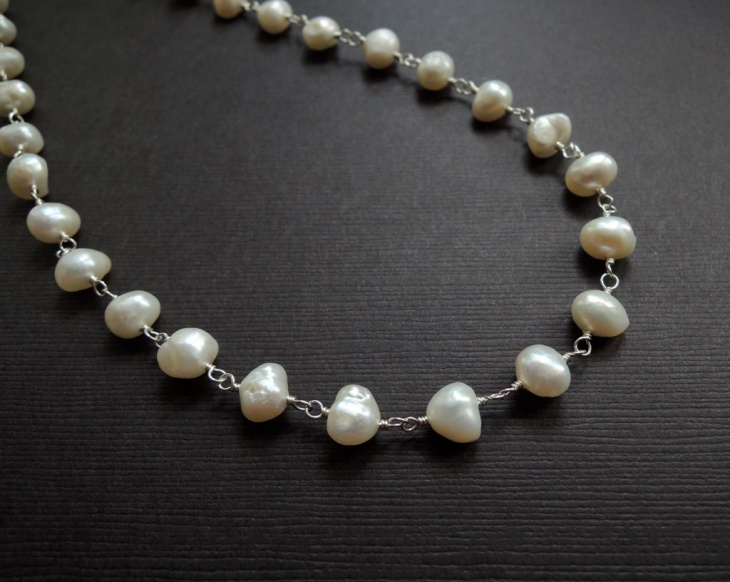 Freshwater white pearls will make your little black dress look sophisticated. While these necklaces are timeless, you can give it a modern appeal by layering with a spiked choker. 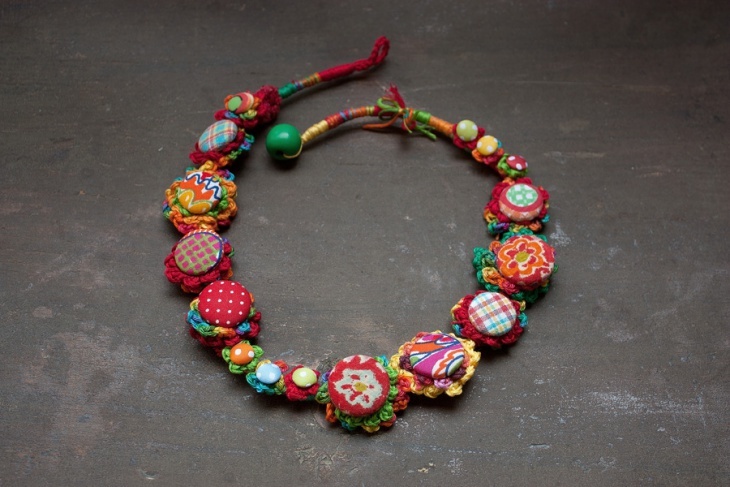 Handmade necklaces for women are unique. Artists take ample time to ensure these necklaces are of high quality hence you get one of a kind design that is made with love and passion. They tend to add an unexpected effect to plain tops, cardigans or work outfits. 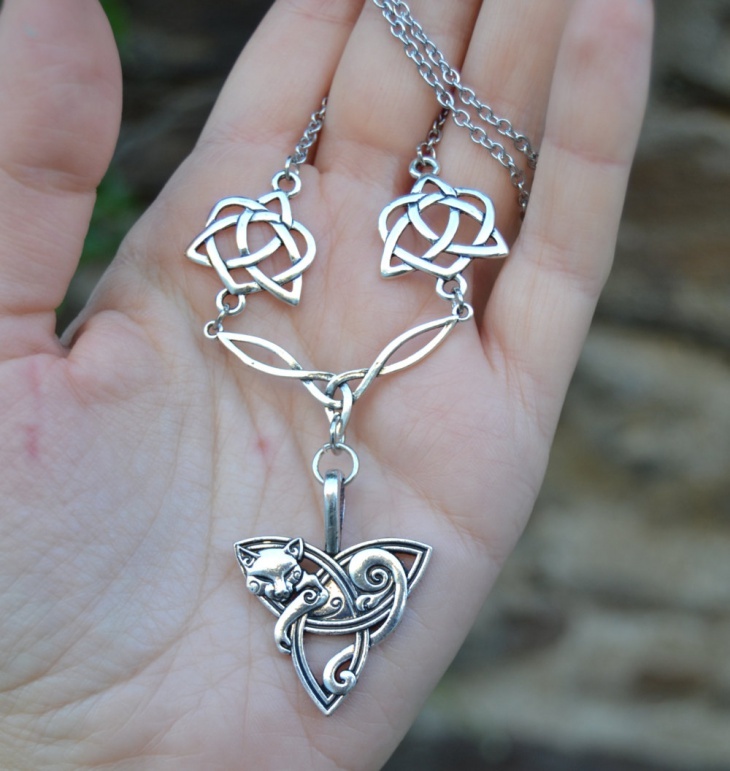 Celtic necklaces for women have intricate knot work and unique symbols that will make your dress or top eye-catching. These designs symbolize strong bond connections or continuous life existence. They also integrate different geometric shapes. You will look effortless and chic when you opt for bib necklaces for women. They feature a thick size which will complement any neckline. Wear this necklace with a strapless or off shoulder dress. Necklaces are a must-have for many women. They can make your face appear longer, wider or shorter and give your attire an interesting look. So choosing a design that flatters your face shape and neck size is crucial. For special occasions opt for those with sparkly gemstones like diamond necklaces.